Hand Feed Sea Turtles – It’s Free with Park Entry! 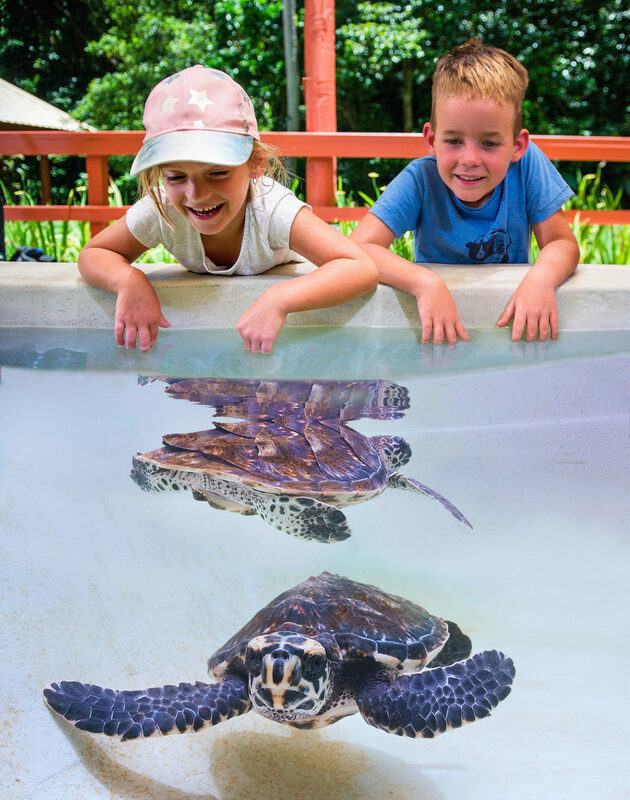 If you are around the Turtle Reef Pool at 11 am, 1 pm or 3.30 pm you’ll get the unique opportunity to help the Park Rangers hand feed our young Hawksbill Turtles. (But first you’ll be asked to wash your hands). Our Turtles are on loan from Treasure Island Resort and, once they grow to release size, they will be transported back to their original homes to live on the reef in this protected sea park area. Three times a day we conduct hand feeding to ensure even the smallest turtle gets the amount of nutrition needed to grow into the huge adults they eventually become. Kula has been raising and releasing turtles for over 15 years and divers still report spotting some of the released individuals happily living on the same reef site. Happily, the taking of sea turtles or their eggs is now prohibited in Fiji. Kula is one of a handful of facilities licensed to hold and display them. So bring your camera and enjoy this remarkable experience.